One of my favorite Judaic references tools is ASPAKLARIA אספקלריא, a Hebrew encyclopedia of Jewish thought. Each entry give fulls texts of the sources in the Bible and in Rabbinic texts, medieval Jewish philosophy and Nahmanides and Zohar followed by the topic in Maharal, Hasidut, Musar, and Rav Kook. The topic index goes way beyond the obvious entries. The full title is ASPAKLARIA Compendium of Jewish thought – editor Shmuel Avraham Adler. It may still be in beta because it does not look finished and because I did not find any Hebrew announcements that it is online. Let’s look at some sermons for what they say about the community. I did this once before about the Upper West Side and we had some interesting results. Now, let us look at Boca Raton. These sermons were given by Rabbi Efrem Goldberg as an Elul – Rosh Hashanah musar, he collected them in a pamphlet. Let’s see what a historian would note about the community. Before I start, I take it as given that none of this is restricted to Boca Raton. I also take it as a given that this is not about the rabbi or his community, nor is it concerned with prescription. It is just a snapshot at the sins (and solutions) of the age. It is looking for the next links in the trajectory of the sins discussed by orthodox rabbis. In the 1950’s it was working on the Sabbath, and in the 1970’s it was using a razor to shave. What are the current sins? The first issue is the dress of the teenage girls. I am not God forbid suggesting anything about the young girls or women of our community. But it seems like we have lost our modesty compass and we have developed a blind spot for how we appear and the message we are sending. When I am talking to 8th grade girls on a Shabbos and I have to look up to see them because of the height of their stiletto heels, we have a blind spot. When a young man of marriageable age inquires from me for dating purposes about what turns out to be a 15 year old girl because based on her appearance he thinks she is 19 or 20, we have a blind spot. A second issue is that the inhabitants of this place have a longing to eat in any restaurant, desire to go to the beach on Shabbos, and to be fully immersed in the hedonism around them. The Rabbi acknowledges that some do take off their kippot, but he leaves it as an implicit statement that without kippot some of his congregants engage in the desired activities. (We have no quantified data. )He does put his finger the fact that some of the congregants have a sense of diminished return for following the community. For those who identified as Orthodox because they liked the warmth of the lifestyle and Shabbat was seen attractive, many now feel that the warmth has faded and that they have other interests. If our children see that in truth we would prefer to be exclusively toshavim, fully immersed in the country clubs, the pop culture, the secular lifestyle that surrounds us, if they sense that we long to eat in any restaurant we want, go to the beach club on Saturdays and be unencumbered in our lifestyle, we have little chance of making Judaism exciting for them. If they see that our yarmulkas literally and figuratively spend as much time in our pockets as they do on our heads, should we be surprised if Judaism doesn’t speak to them in meaningful ways? A third issue is the problem of drugs among the teens. If the Rabbi mentions it, then it has clearly be there a while already. His solution is for parents to impose drug tests. He does not offer a solution that reaches the kids themselves. Know that sadly it could have come from any one of many people whose children could go to any one of the many Jewish schools in South Florida… if you are the parent of a teenager who is friends with and exposed to a crowd that may have access to drugs or alcohol, you need to randomly test. Don’t test because you don’t trust your child. Test because you don’t trust his or her friend. Test because your neighbor can’t trust their kid, but doesn’t have the courage or fortitude to test unless you do as well. You can get excellent tests at AmericanScreeningCorp.com and be sure to get the test to see if you child took the pill to make sure nothing can be detected in a test. A fourth issue is the internet. His solution is to filter and emulate the Evangelicals. Would you ever go to sleep at night and let your child hang out in their room with an inappropriate adult, a Christian missionary, a drug dealer, a rabid dog or anything else that could threaten them? Of course not! And yet, make no mistake about it. If you call it a night, and leave your child with unfiltered, unlimited access to the Internet, they are surrounded by dangers that lurk and that loom. I will tell you something I consider tragic. We are the so-called Modern Orthodox community. We are the ones who supposedly synthesize progress, technological advancement and change with Torah values and morals. And yet, if you want a filter for your Internet, you will more than likely be purchasing it from a Christian group. If you want to check about a particular movie before letting your children watch it, you will likely go on http://www.kidsinmind.com or another website that provides that kind of analysis and summary. They are all Christian websites. A fifth issue- his congregants as cheap and rude. Jews shouldn’t be known for being cheap; we should be known for being generous. We shouldn’t have a reputation for being rude; we should have a name for being respectful. A sixth issue is that everyone is super busy and now wired with smart phones, txt messages, tweets. He wants his congregants to slow down because it provides serenity and Torah helps focus thoughts. On this one, the horse has already left the stable, busy dual career doctors who car pool their kids to activities everyday will not and cannot slowdown just from a homily. And they have already become observant, so you cant promise if they keep Shabbat they will be refreshed, focused, and have a slower life. All of Torah is there so that we are transformed into misbonenim, from zombies mindlessly living life, into thoughtful, mindful, people living in the present. The answer is simple, slow down. The only way to achieve mindfulness and to find the serenity it provides, is by hitting the brakes a little bit. Slowing down is an art, and unfortunately it is ever increasingly becoming a lost one. The answer is simple, slow down. The only way to achieve mindfulness and to find the serenity it provides, is by hitting the brakes a little bit. Slowing down is an art, and unfortunately it is ever increasingly becoming a lost one. Here we have a focus on Judaism as somehow culturally saving one from the pop culture. We need to be exceptional and distinct from the general culture to reject the pop culture. The author does not see that his dichotomy is showing his non-exceptional assimilation into Evangelical ways of thinking. When they were both alive, Rav Hutner’s exceptionalism was seen as diametrically opposed to Rav Soloveitchik. The former emphasized the use of the word hinukh to distinguish it from general studies, while the latter having no such concerns as shown in his school. (AB- In my days teaching in Maimonides in Boston, the students could not have any rock culture in school, because they needed to focus on writing papers for general studies. Sports were not placed above general studies.) Also after several decades of day school students emphasis on pop culture, pop culture faith, and cruise ship Orthodoxy, the pop culture is now seen as a foreign influence. The students are only doing what you showed them. For the next four weeks I would like to speak to you about how in my opinion, we are placing too much emphasis on our status of toshavim, full participants in society and we have neglected and overlooked our status as geirim, as different and distinct. As western democratically minded people, we are naturally uncomfortable with the idea of Jewish chosen-ness or exceptionalism. After all, isn’t it racist, bigoted, discriminatory and doesn’t it engender a sense of superiority and conceit, attributes that are supposed to be anathemas to the Jewish people? Rabbi Yosef Dov Soloveitchik explains that in this introduction, Avraham captured the tension that ever Jew is destined to live with forever. On the one hand, we are toshavim, residents and inhabitants of the great countries in which we have lived. We function as active citizens participating in the fullness of the society around us. And yet, at the same time we must remain geirim, strangers, different, apart, distinct and dissimilar. 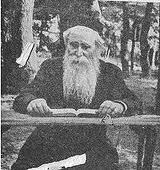 Rav Yitzchak Hutner, the great Rosh Yeshiva of Chaim Berlin, once stood before a Torah U’Mesorah convention, a gathering of Jewish educators from across the country. He suggested to them that he could summarize their entire duty…The single most important value we can and must teach our children is that they are and can be exceptional. Even though we are toshavim, participants in society, not every magazine, website, book, newspaper or TV show belongs in a Jewish home. We must be geireim, strangers, to many aspects and elements of pop culture and of secular society. What is this preacher’s view of how people change? The real religion and cosmology of our age is 12-step of AA, the discipline of the gym, and Oprah’s power of changing one’s narrative. As in most forms of prosperity gospel, we have no limits to what od has promised us if we apply ourselves. Rav Soloveitchik’s inner existential resolution and moment of decision showing the courage of all existential decisions becomes the pop-psych belief in change and that one is not stuck in a rut a life. (A quick google search seems to indicate that Rav Abraham Twerski and Rav Soloveitchik got crossed online). One of them, a man sitting in this room right now, described that before any of us knew him, almost 30 years ago he weighed over 300 pounds and was a complete alcoholic. The only thing holding him back from change was his own self imposed limitation of “it’s not me.” He went on to tell us about how he lost 200 pounds and conquered his alcohol addiction. When asked, how did you do it? How did you go from an obese alcoholic to thin sober person his answer was incredible. There are no limits to who we can become if we simply subscribe to hirhur teshuva and believe in our capacity to change. Rabbi Soloveitchik offered a simple answer that contains a phenomenal insight into what today is all about and how we can break out of the “it’s not me” trap… The preliminary stage is called hirhur teshuva, the awakening of teshuva… Explained the Rav, before we can change, we must believe that we have the capacity to change. Before we can create a new me, we must let go of the natural tendency to feel, it’s not me. My question is whether you think Rabbi Goldberg is differing with the pop culture rabbis or part of the same cloth, locating their issue in the realm of popular culture. For other glimpses into the contemporary state of Orthodoxy, see the chat with Rabbi Shlomo Einhorn and Rabbi Daniel Cohen. Did you ever want to create an elite group dedicated to perfecting spirituality? Did you think it was going to change the world? Did you ever wish that you were part of the elite circles around the Ramak in Safed, Ramhal in Padua, or the Magid of Mezeritch. Hillel Zeitlin’s writings offer an imaginative plan for creating such a community in 1920’s Poland. And the new translation by Arthur Green, Hasidic Spirituality for a New Era: The Religious Writings of Hillel Zeitlin (Classics of Western Spirituality, Paulist Press) allows one to dream with Zeitlin about such utopias. This is a great volume to bring to synagogue to be inspired for love of God, to argue with the places where you think Zeitlin is wrong, or to fantasize about one’s own ideal world. Hillel Zeitlin (1871-1942), broke with the faith of his pious Belorussian Hasidic family in order to became a long haired journalist for the Yiddish papers writing about European philosophy and literature, Spinoza, Nietzsche and Lev Shestov. Later in his life, Zeitlin turned back to the Hasidism on which he had been raised; he again dressed as a hasid He still earned his livelihood as a journalist, writing about religious affairs and Hasidism for the secular Yiddish press. Zeitlin was killed by the Nazis wearing tallit and tefillin, holding his beloved Zohar. Zeitlin considered his current Hasidism as in decline. They focus on the externals of dress and customs, they seek wealth and glory sometimes even more than non-hasidim, they castigate others and spend their lives in petty politics about the Hasidic courts, slaughterers and religious officials. They are fanatic, foolish and push Jews away. For those who want to know more about the intense decline of Hasidism 1880-1930, see Mendel Piekarz, Hasidut Polin, where give you details on many people rapidly fleeing and the ossification of most of the courts. Zeitlin also points out the corruption of political parties, the nationalists, the communists, and all others. Zeitlin complained how the nations yoke us and torment us, and wails about the slaughters, pograms, anti-Semitism and exile of the early twentieth century. Zeitlin envisioned a renewal of Hasidism that takes the best of Western culture. Zeitlin called his envisioned movement Yavneh, and in other places they were the members of the elite, the bnai aliyah or the yehidim. This new Hasidim would be completely devoted to God, Torah, and Israel. Zeitlin’s role models are a bit surprising and probably not the list of your own fantasy team, his are Elazar Rokeach, Yehudah HaHasid, the Besht, and Hayyim ibn Attar. Zeitlin finds Bahye ibn Pakuda and Maimonides lacking in their intellectual focus, without enough burning passion and religious lust. The Besht saw the Divine light in gentile folk tales and tunes, Zeitlin, in turn, exhorts his readers to expand on the Besht and find God in all arts and worldly wisdom, as well as considering the Divine light in social justice. The Hasid of the future senses the divine light when praying and studying, works by his own manual labor, and has love and compassion for Jew and non-Jew. Zeitlin offers 15 principles or hanhagot for his new Hasidism. They include the need to keep away from all luxuries since luxuries combined with a true Jewish life are like immersing in a mikvah with sheretz in hand. Therefore avoid theater, parties, and expensive food & clothes. Unlike the contemporary Neo-Hasid, for Zeitlin the Hasid of the future needs to work on shimrat habrit and sexual holiness. He must be strict in kashrut. Shabbat must be holy within, in contrast “sons are being prepared for empty careers where Shabbat is kept in an external way.” They pray, and when they have the opportunity, they fulfill commandments and customs, but everything mechanical.” He pleads “Don’t allow your house to become secular and commercial.” Speak Yiddish, live among Jews. Remove yourself from party politics. Any party, even Jewish ones limit the communion of Yisrael. When you work for a party (including Agudah) and it causes division between Jews then it is contrary to the Jewish spirit which is love justice and holiness. One should: Learn mussar works everyday, especially the classics such as Duties of the Heart, Way of the Righteous, Path of the Upright, Tanya, Likkute Etzot. If you follow these 15 rules, then he says to contact him. The next part of the book are translated sections of Zeitlin’s Zohar visions written in Zohar Aramaic, which describe the activities of this envisioned elite group in the same way the Zohar protagonists are portrayed in the Zohar. A highlight of the volume is Zeitlin’s The fundamentals of Hasidim, in which he explores Hasidic metaphysics in terms of German idealism. Schopenhauer, Nikolai Hartmann, and Nietzsche frame discussions of being and nothingness, tzimzum, creator in the created, raising sparks, raising up distracting thoughts and bad middot, sweetening judgments. I would definably assign this section to a class. It grapples with what it means to use Hasidic metaphysics in the modern world. Yet, modern for Zeitlin is for us in the 21st century a category of a prior century, it has little to do with the current remake of Hasidism as psychology, personal meaning, and private commitments. The book has Zeitlin’s reflections on his recent reading of William James, Varieties of Religious Experience called in the original “be-Hevyon haNeshamah, the Hidden Places of the Soul.” Zeitlin still does not have a word for mysticism or religious experience. Green translates this section as “Judaism and Universal Religion.” Zeitlin states that we need a science of religion, but those who those who know social science are far from religion; and those who practice religion are far from the ability to create a science. Among the documents Zeitlin looks include Berdychevski’s musings, kabbalistic texts, and Dostoevsky. We live in a sorrowful world- Zeitlin blends Brothers Karamazov with descriptions of hell from Chaim Vital. Zeitlin discusses the need to reawaken wonder and astonishment, which Green credits as having an influence on Heschel. There is a need to reawaken love and knowledge of God. The highlightsof this section is Zeitlin’ discussion of the various types of revelation in Judaism, he cites texts for each: Voice of God in nature, Symbols, Dreams, pangs of Conscience, Longing of soul, Inner voice, Feeling of Divine Closeness, and Ascent of the Soul. The final essay in the volume is an interesting defense of spiritual beauty in Judaism. It includes a defense of Moshe Taku and others who wanted a corporeal God for Judaism. Zeitlin admires how – Aggadah can depict God, especially the shekhinah. Zeitlin finds a rare beauty of holy people, miracle workers, messiahs, and Hasidim. The book concludes with Zeitlin’s poetry of yearning for God, reworked Rav Noson of Breslov but also reworked St. Augustine confessions. My main reaction to this book is that I want more. There are so many essays of Zeitlin that could use translating, more than enough to fill a second volume. The romantic reclamation of the Zohar is mentioned in this volume but I would have wanted to see a translation of Zeitlin’s essay on translating the Zohar, and his essay on the history of the kabblah where he refutes the critics of the Zohar. Zeitlin never finished did translate the Zohar but his colleague Fischel Lachover did translate it.Lachover’s translation became known as Mishnat Hazohar and is usually called the name of the introduction editor Isaiah Tishby. The book has a narrow focus on Zeitlin as proto Neo-Hasidiism and does not involve itself on his intense relationship to Zionists, Yiddish and Hebrew authors, Polish revisionists, Shomer Hatzair, and fellow new kabbalists such as Rav Kook and Ashlag. Zeitlin wrote the first reviews of Rav Kook, Rav Ashlag, and the Piesetzna Rebbe –not included in the volume. He also has an important essay mediating between the Socialism of the Mizrachi and Ashlag as opposed to the free enterprise of the Revisionists. The book also does not investigate his relationship with Russian nihilists, Spinoza, or Tolstoy. Zeitlin has almost half a volume of essays on Lev Shestov, who is important because Shestov’s meditation on doubt, atheism, and faith become the basis for Zeitlin’s and Green’s portrayal of Rav Nahman. The book lacks any mentions of Zeitlin’s interest in para-psychology, supernatural, and powers of the mind similar to his contemporary Menachem Eckstein, and Zeitlin’s son Aharon Zeitlin wrote a tome on the subject ha-Mitziut ha-Aheret. Green considers the citation of gentile authors by Zetilin not a continuation of the selective adaptation of secular literature as shown in the approaches of Hebrew authors, Rav Zadok or Rav Kook, but rather a form of commitment to multi-culturalism and universalism. So Green’s pluralism is greatly taken aback by Zeitlin’s eulogy for the 1921 murder of his friend YH Brenner in which Zeitlin calls the Ishmael murderers “forest beasts.” And elides Zeitlin’s particularism, especially his reworking Maharal exclusivism in a poem as “This people to whom was revealed eternal love, to whom were given laws and statutes no other people were given!” or Zeitlin’s poem for shofar blowing, which cries for revenge against the nations that slaughter us. The book includes letters to Mizrachi leaders in the yishuv about his Yavneh project. Green acknowledges that Mizrachi workers party and the early Agudah workers party were the closest to the revival that Zeitlin envisioned. Yet, throughout the volume Zeitlin is not compared to Shmuel Hayim Landau of Mizrachi or to Isaac Breuer’s followers in Poalei Agudah but to the birth of Neo-Hasidism in the United States. The preface of the book is Zalman Schachter-Shalomi’s description of his creation of the neo-Hasidic Bnai Or (later changed to Pnai Or) based on the Essenes. Yet, the Mizrachi movement produced the festschrift for Zeitlin Oskar (Yesha‘yahu) Wolfsberg and Tsevi Harkavi, eds., Sefer Tsaitlin (Jerusalem, 1944/45) and they published his writing through Mosad Harav Kook. When I open Zeitlin’s works, I am overwhelmed by the many directions to take the discussion, his relationship to the Homel school of Habad, his personal relationship with the Gerrer Rebbe, his relationship with Gershom Scholem, or his co-workers at the newspapers Haynt and Der Moment. Zeitlin was answering the question of Agnon: Where do we go now after the breakdown? Most chose secularism. Zeitlin says of Y. L. Peretz (1852-1915) that he had a heaven but that there was no God in his heaven. Peretz responds, however, by calling Zeitlin the Prophet of Yesterday. Zeitlin offered Hasidut as a solution for a modern age before it became the variety of counter cultural and new age. We have to thank Art Green for sharing one of the books that inspired him and his Neo-Hasidism. Zeiltin’s journey holds many gems for the new readers that will now find them because of this translation. In the introduction, Green paraphrases Zeitlin about the persecution and exile restraints of Jewish life not allowing for renewal. The question for us now is whether our peace and prosperity is the era that can realize his vision of a renewed love of God, intentional community, and the creation of a Bnai Aliyah. Jonatan Meir ‘Longing of Souls for the Shekina: Relations Between Rabbi Kook, Zeitlin and Brenner’, The Path of the Spirit; The Eliezer Schweid Jubilee . Italian Cardinal Carlo Maria Martini, died Friday. He was a contender to have become pope and he was a liberal who was still respected and worked together with Papal conservatives. For more on his positions see the obituaries of the AP and NCR. Martini retired to Jerusalem and was active in Jewish-Christian relations. In a nutshell, he advocated that Catholics should study Judaism and understand Judaism in its own context; he also was working toward a Catholic theology of the land of Israel that acknowledges Israeli sovereignty as well as a greater Catholic appreciation of the land.As rector of the Pontifical Biblical Institute in Rome, Cardinal Martini created a program under which Catholic students go to Israel to study Judaism, biblical archaeology and Hebrew language. The two most important documents are his November 2004 speech at Rome’s Gregorian University and his book Verso Gerusalemme (Towards Jerusalem). In the 2004 speech at Gregorian University in Rome, Cardinal Martini said that Catholics could not fully understand their own faith without a meaningful understanding of Judaism. He recalls anti-Judaism and anti-Semitism with sorrow and a need to help eradicate it in the future. He sees a continuous link of the Jews with God and the need to entirely eradicate the Patristic supersesionalism. In one of his other books “Christianity and Judaism: A Historical and Theological Overview” he explicitly rejects Augustine’s thinking on the Jews- the ‘theory of substitution’ whereby the New Israel of the church became a substitute of ancient Israel.” He wants all aspects of Catholic liturgy, doctrine and spiritual life to reflect this new understanding of Judaism. Here one recalls the painful history of the past, with centuries of closures, ostracisms, reciprocal misunderstandings and calumnies. It is a history that we cannot remember without a deep sense of sorrow and humiliation, all the more so as we gradually realize how, in this respect, many Christians have behaved in opposition to the Gospel, and thus have obscured the truth and the love that ought always to flow from the Church of Christ. Today things are changing, but we need time and energy, even because new events in the history of our times give the virus of antisemitism the opportunity to spread and to give rise to condemnatory theories and judgments. We must make sure that the faithful gain a renewed awareness of their link with the children of Abraham, with all the resulting consequences for the doctrine, the discipline, the liturgy and the spiritual life of the Church, as well as her mission in the world of today. Martini thinks that it is not enough for the Church to be against Anti-Semitism but it needs to study post-Biblical Judaism and the entire history of the Jews. Priests need education in Judaism. Catholics have to see the State of Israel in modern political terms and keep out of the conflict. Leave the conflict to the experts and politicians. Catholics need to do daily teshuvah for the sorrows they caused. Christianity has to reground itself in Judaism and the Jewish tradition. It is necessary to acquire an understanding of post-Biblical Judaism, which, until very recently, was almost totally lacking in the Catholic Church. For this reason it is necessary – and I have said it more than once – not only to know the books and the traditions that after the destruction of the Temple continued to maintain in life a [specifically] Jewish hope, but also to widen our horizons to the entire history, the customs, the artistic, scientific, literary and musical talents of the Jewish people. It is thus necessary to cultivate an attitude of esteem and of love towards this people. Simple anti-antisemitism is not enough. It is thus necessary to develop motivations for a friendship that in the heart of the other increasingly reads the thoughts that we share, and that finds a space for the differences, making sure however that these differences do not lead to conflict or dismissal. First of all, in the formation of the future priests it shall be necessary to emphasize the knowledge of Biblical and post-Biblical Judaism. Over the last years, a certain progress has been made in this direction, but much remains to be done, especially because up to now only few have received this type of formation. Where there are conflicts, as at present between Israelis and Palestinians, it is necessary to remain in the middle and to work so that all violence may cease and everyone may learn to understand the pain of the other. For this reason I have chosen to live in Jerusalem most of the time and I have set as my main priority the prayer of intercession, so that the people of the Middle East, and in particular Jews and Palestinians, might discover the ways of mutual trust and dialogue. The third stage is that of study, and subsequently of dialogue. In its search for truth, humankind builds schools, research centers and universities. I am convinced that a deeper understanding of Judaism and its currents is vital for the Church, not only so as to overcome a centuries-old ignorance and to begin a fruitful dialogue, but also to deepen the understanding that the Church has of itself. In other words, I would like to emphasize the importance, for the theology of Christian praxis, of the study of the problems derived from the interruption of the contribution that the theology and the praxis of Jewish-Christians was giving to the early Christian community. It is a fact that the first great schism, that between Jews and Christians, has deprived the Church of the help it would have received from the Jewish tradition. I prefer to celebrate on the morning of Christmas, with some young students from the Pontifical Biblical Institute of Rome who are frequenting the Jewish University of Jerusalem. We say the mass in what is known as the cave of Saint Jerome… I am attracted and moved by the figure of Saint Jerome. This intelligent and tenacious scholar, tired of the ambitions and gossip of Rome, decided to withdraw to Bethlehem to pray and study intensely the Jewish and Christian scriptures, devoting himself above all to the work of translation into Latin from the original tongues… Like Saint Jerome, even if very far from his holiness, and from his ascetic and scholarly rigor, I also feel myself here in Jerusalem to adore the Lord born for us and to study the Scriptures of the Jewish people and those of the early Christian community. I would like thus to get to know more deeply something of the mystery of God and man, that I have met so often in my office as bishop. Martini was awarded an honorary doctorate from Hebrew University- here is an excerpt from his acceptance speech. Very soon I realized that the language of the Bible was somewhat different from languages used in the modern world. And I started to ask myself how biblical language related to these other ways of speaking: to the language of daily life, the language spoken in the market place, on the bus and on the train, the language of human love, the language of human work, especially of the agricultural world, the language which transmitted to new generations the simple rules through which we are able to relate to our neighbour and to survive in the daily competition of life. With these contemporary languages the way of speaking used by the biblical books has of course many similarities, with maybe the exception of the ethical and moral language, which in the Scripture is much more absolute and exacting. The Bible, in effect, expresses itself usually in ordinary language, full of symbols, proverbs, parables, examples and stories, sometimes bringing paradoxes and provocative expressions. In this way, it tries to express things and values as they are felt by our sensitivity and emotions. On the other hand, scientific language, tries to describe things in their reciprocal and objective relationships, apart (as far as this is possible) from the personality of the observer. But once we have understood this difference, there is no more reason to be scandalized by the simple language of Scripture, the aim and purpose of which is different from that of a scientific affirmation, but has its truth, dignity and purpose. The Juvenilization of American Judaism? A new book came out this summer The Juvenilization of American Christianity by Thomas Bergler that discusses the rise of Evangelical Christian youth groups and how over time they developed a religion based on youth culture. The book is receiving great reviews and it is filled with examples that parallel Jewish experience. The idea of religious youth groups was created at the turn of the 20th century based on the research of E.D. Starbuck (William James’ research assistant). He showed that adolescents choose religion based on socialization, so liberal Protestants created groups that had outings, study, and social action. This new book shows the importance of Christian youth groups from the 1940’s until today noting how they changed over the decades. But the focus of the book is on the Evangelical groups that replaced the study and social action with emotionalism, popular culture, and anything goes. In a similar manner, Orthodox Jewish youth movements were just synagogue based youth groups in the 1950’s, then they became an outreach, then they became an entire emotional youth culture. Now they are shifting to media, spirituality, and beyond. Not everything in his book has a Jewish parallel, but much does. Many trends have matured and others ran amuck. I will point out a few choice ideas and paragraphs. Let me know where it rings true for Orthodox youth movements. As you read it, think about those who spend their entire lives looking to reproduce their adolescent emotions that made them religious, think about the desire for pulpit rabbis who training is in youth work and not learning, think about the many who graduated youth movements and then had a lack of adult aspirations, and finally think of those whose Orthodoxy is a form of consumerism. Also think about those who would say or do anything for kiruv. Did youth kiruv dilute Judaism? Read the excerpts below. For Bergler, the youth culture “set the stage” for the widespread juvenilization of American Christianity. They had, in fact, created a “full-fledged juvenilized version of evangelical Christianity” (174). The youth culture was beneficial in that it helped to create “an enduring and adaptive way to sustain a conservative Christian identity in American society.” These youth grew up with a sense for engaging cultural forms and have since carried that into the music and movie industry. Further, it provided an alternative version of conservative Christianity for those disillusioned with American fundamentalism. At the same time, the new breed of evangelical youth leaders stressed that following Christ included absolute obedience to his commandments and separation from “the world.” This seemingly contradictory combination of fun and moral strictness actually worked quite well at capturing teenage loyalty in a competitive religious and entertainment marketplace. Mainline Protestant youth leaders often complained that YFC rallies were stealing young people away from more worthy, social gospel-oriented youth programs. Bergler describes the simultaneous promise of fun combined with a renunciation. Religion became a product to consume. Bergler points out how the alloy of these two ingredients produced a product to be consumed- ice skating and giving one’s heart, guitars and submission- similar to the emotional attachment to a rock band. He also points out how it creates a serious divide of us and them for those who do not share in the purity. Youth for Christ leaders promised teenagers that they could have fun, be popular, and save the world at the same time. But in order to do so, they had to give their lives to Jesus and maintain a pure “witness.” Many teenagers internalized that call to separation from “worldly” corruptions, but in return, they demanded that Youth for Christ leaders provide them a Christian youth culture complete with fun, popularity, movies, music, and celebrities. This combination of spiritually intense experiences, bodily purity, and youth-culture fun transformed thousands of young lives and guaranteed the long-term vitality of white evangelicalism. But adapting Christianity so well to white, middle-class youth culture brought its share of compromises to the Christian message. The faith could become just another product to consume; a relationship with Jesus might become just another source of emotional fulfillment. And the obsession with teenage bodily purity made it difficult for white evangelicals to respond in love to those perceived to be impure outsiders, such as juvenile delinquents and African Americans (148). Juvenilization tends to create a self-centered, emotionally driven, and intellectually empty faith.In their landmark National Study of Youth and Religion, Christian Smith and his team of researchers found that the majority of American teenagers, even those who are highly involved in church activities, are inarticulate about religious matters. They seldom used words like faith, salvation, sin, or even Jesus to describe their beliefs. Instead, they return again and again to the language of personal fulfillment to describe why God and Christianity are important to them. Smith and his research team labeled this pattern of religious beliefs Moralistic Therapeutic Deism. Teenagers learn these beliefs from the adults in their lives. It is the American cultural religion. Teenagers are “moralistic” in that they believe that God wants us to be good, and that the main purpose of religion is to help people be good. The newly labeled ‘teenagers’ would from now on be increasingly seduced by the siren song of high school social life dominated by fun, sports, dating, movies, music, and fashion. While adult values and youthful tastes have often clashed over the centuries, what was changing was the relative balance of power between the two and the length of time between puberty and full adult status…. Finally, the book has some discussions of the phenomena of adolescent renunciation. Starting to keep the prohibition of negiah is a renunciation that allows one to feel a relief from adolescent struggles and in youth culture it is given a redemptive meaning making it worth it. Or the renunciation of no longer do prohibited work on the Sabbath such as gymnastics, TV, or part-time job now has a redemptive meaning of showing the Torah is true. If renunciation is the model for religion, then it is pretty hard to show renunciation after a certain age when one has already built a religious life. The ultimate way for a teenage girl to prove her bodily purity and confirm her powerful Christian witness seemed to be to get elected prom queen and then refuse to dance… Such stories confirmed that Christians could be popular, have fun, and save the world at the same time, but only if they preserved their pure “witness.” This youthful spirituality held a powerful appeal because it reassured teenagers that their renunciation of youth-culture pleasures was contributing directly to the all-important Christian mission of saving souls. In contrast, Roman Catholic teenagers heard just as many urgent messages about sexual purity, but did not catch a vision for how their personal abstinence could save the world. As a result, the enforced sexual morality of the Catholic ghetto did not fare as well in post-1960s America as did the voluntary, mission-inspired evangelical version.